As our new “Thistory” page makes clear, the EarnThis writers (well, the OTHER EarnThis writers) have written excellent, thorough career retrospectives of a great many musicians. This post is no such retrospective. To be frank, I don’t seem to know as much about any musician as Dan knows about pop musicians, or Grant knows about emo musicians, or Colton knows about EVERY musician. Just about the only singer I could cover with that degree of competence and insight is Weird Al…and I’m not sure folks are exactly champing at the bit for that retrospective. So while Johnny Cash doubtlessly deserves more detailed coverage than I’m enlightened enough to give, I wanted to take this opportunity to show the Man in Black a little bit of love in my own, scattershot way. Yes, this post may be a bit shorter than some of the others. But since TTBL entries #3 and #4 clock in as two of the longest articles in EarnThis history, perhaps a marginally less bloated wordcount will come as some relief. To meet my self-imposed “ten lists of ten” rule, I’ve decided to talk about five aspects of Cash’s persona and artistic output, with two examples to highlight each. Throughout his long career, Johnny Cash stood as a rugged, masculine American icon, with all the manliness of John Wayne but none of the hokeyness. He defies easy classification: His musical output included rockabilly, blues, folk, and gospel, and Cash is one of the few performers to have been inducted into both the Country Music and Rock & Roll Halls of Fame. In addition to genres, Cash’s work spans many tones, from peppy, to proud, to silly, to sad, to sardonic. But we’ll get to all those variants in a second. After all, before there was Vanilla Coke, Cherry Coke, or even Diet Coke, there was the “Classic” formula that started it all. 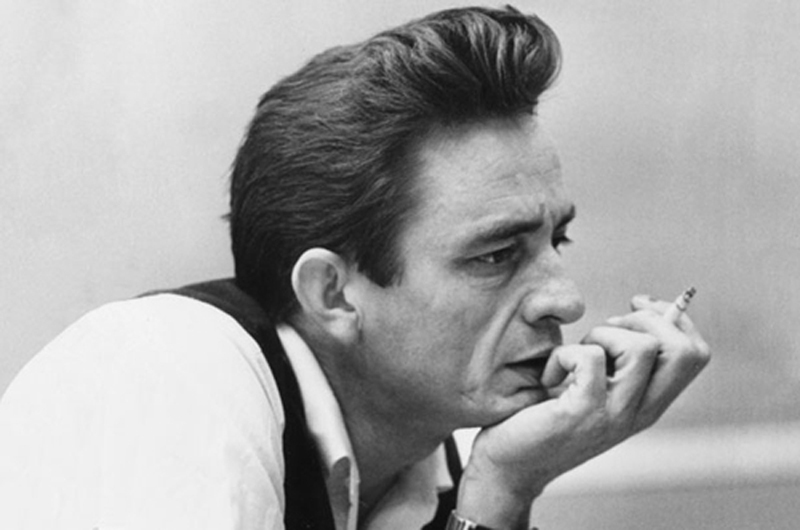 So let’s kick off this kinda-sorta retrospective with Cash Classic – a couple of the Man in Black’s most enduring, popular, and iconic tracks. Cash earned the nickname “The Man in Black” for always performing in clothes which were…well, black. In this song, written in 1971, Cash finally explains the logic behind his image: The darkness and “somber tone” of his apparel symbolizes oppression and hardship at work in the world. He “wears the black” for the poor and the elderly, as well as for abused prisoners and the soldiers lost to pointless wars (a particularly hot topic in the then-ongoing Vietnam War). “Until we start to make a move to make a few things right,” says Cash, “you’ll never see me wear a suit of white”…which I’m sure made Mark Twain and Colonel Sanders feel like real dicks. Of course, a few more tracks unquestionably belong under the “Iconic Cash” banner. Foremost among these are “Walk the Line” and “Folsom Prison Blues.” Unfortunately, I can’t very well give them too much attention, or risk violating my “10 of 10” restriction. Since the former is a profession of love and devotion, like “Ring of Fire,” and the latter an expression of solidarity with the growing prison population, like “Man in Black,” I figured the two tracks I picked summed up “Cash Classic” as well as any could. In stark contrast to his grim moniker, the Man in Black had a great sense of humor, and recorded a handful of purely comical songs. Believe it or not, this song originated as a poem by Shel Silverstein, better known for his collections of children’s poems such as “Where the Sidewalk Ends.” Allegedly inspired by a childhood friend of Silverstein’s (a boy named Jean), the ballad-like story/song tells the tale of (what else?) a boy named Sue, who dedicates his life to seeking out his absent father and killing him for “giving me that awful name.” But when they finally meet (and engage in a vicious bar brawl), can a few choice words from Sue’s father change everything? Another story song, this one is memorable mostly for the uniqueness of its central caper, a “victimless crime” which, despite its wackiness, continues to evoke a feeling that “it just might work.” The song’s protagonist is a Detroit assembly line worker tasked with manufacturing Cadillacs. After eventually realizing that he will never earn enough money to actually buy one of the cars he builds, he concocts a cunning plan: He will steal a Cadillac “one piece at a time,” by sneaking a single auto component from the factory at the end of each workday (little things he squirrels away in his lunchbox, while a friend with a motor home helps him get “the big stuff”). His piecemeal pilfering continues apace, until one day he finally has every piece he needs…some twenty years after he began. The real charm of the song comes when he discovers, too late, that car models change slightly every year. Too committed to give up now, he forges ahead and cobbles together a Franken-Cadillac out of two decades of marginally compatible pieces. When it comes to comedy by Cash, I’d me remiss to leave out “I’ve Been Everywhere,” a tongue-twisting tribute to wanderlust. Is Johnny Cash extremely American, or is America extremely Johnny Cash-ican? Whatever the case, Cash was a rugged, folksy institution, who ably embodied his country. When he said “I am the nation,” you believed it. Case in point. Here he is reciting Otto Whittaker’s “I Am the Nation,” written for the Bicentennial. Kinetic typography by Chris Chalklen. In “Ragged Old Flag,” the speaker encounters an old man who takes pride in his small town’s tattered American flag. The man recounts the many struggles America has passed through, and how the the flag has hung “limp and low a time or two,” but still stands for power and garners respect. But…like…the flag they’re talking about (the specific one hanging in the small town) didn’t really experience all those different things, right? I find it highly unlikely that the exact same flag was flown in every conflict from the revolution to the Second World War. Even if it were, it would’ve been inaccurate (what with the growing number of states). The obvious answer is that the poem is symbolic: This one flag isn’t some omni-present Forrest Gump flag; Rather, it stands as a symbol of the U.S., just as all American flags do. 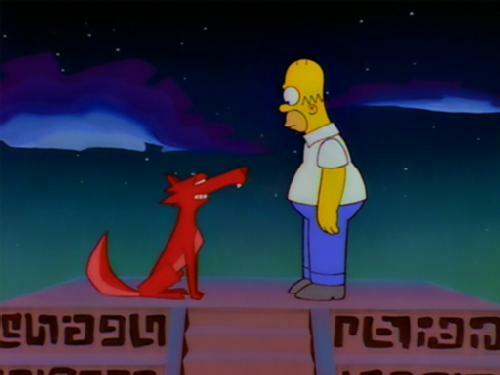 But then, that doesn’t explain why the town’s flag is so grody…effectively leaving the speaker’s question unanswered, and the old man’s rant pointless. Oh well. It’s still a nice sentiment, I suppose. Toward the end of his long career, Johnny Cash’s image changed. In his earlier work, he had alternated between folksy singing cowboy and half-edgy activist. But now, the old rocker turned a critical eye inward. Much of his final material exhibits a somber tone, with Cash introspective, brooding, and a bit burnt-out after decades of drug abuse. The Man in Black sings slower now, and sadder, and this dark shift fueled some truly impressive covers. Originally recorded by all-time “singing cowboy” great Marty Robbins, “Big Iron” tells the story of a lawman who travels to a tiny western town to off its resident outlaw, Texas Red. While Robbins’ recording is a relatively upbeat account of the standard showdown so ubiquitous in the western genre, Cash’s gloomy cover brings out the tragedy inherent in the story. Death is never triumphant, he seems to argue. Texas Red was “a youth of 24” who went down a dark path, but even so, his murder is not to be celebrated. The duel as depicted by Cash is bloody, brief, inglorious, and just part of the grim reality of the “wild” west. Yes, in his twilight months Johnny Cash did a Nine-Inch Nails cover. Cash’s cover of Trent Reznor’s “Hurt” was one of the last things he ever recorded, and, by most accounts, one of the best. While Reznor’s song speaks of drug use and self-harm in the context of depression and possible suicide, Cash gives the lyrics new meaning. He looks back at the life he has lived, occasionally fraught with pain and sadness. But more important is the looming future…and the inevitability of his own death. Cash’s mortal “empire of dirt” is about to become forfeit. In a sense, these are his final words, his last testament in song form as he sits poised on the edge of oblivion. The brilliant music video for the song (featured below) focuses on the fleeting nature of life. Short snippets of Johnny Cash’s earlier career are juxtaposed with new footage of the House of Cash Museum. The museum, once Cash’s own home, now sits abandoned and overgrown. Upon seeing the video, Trent Reznor remarked that it felt as though “I just lost my girlfriend, because the song wasn’t mine anymore.” The video’s production values and potent symbolism have earned it a place in history, with at least one prominent music publication (Britain’s “NME”) dubbing it the greatest music video of all time. Johnny Cash died seven months after its release. Yes, Johnny Cash was folksy and funny. He was pensive and prolific. And now, he’s gone. But his work remains… and crops up in some places you might not expect. Finally, we have a bit more problematic use of Cash’s music. “The Man Comes Around” was one of the last songs Johnny Cash ever wrote, and provided the title of the final album he released in his lifetime. In keeping with Cash’s devout Christian faith, the song borrows imagery from the book of Revelation to describe the end of the world (more specifically, the second coming of Christ). It’s undoubtedly one of Cash’s creepiest songs. He sings in a surprisingly upbeat manner about the “terror in each sip and in each sup” as the Horsemen of the Apocalypse and other Revelation figures ravage the Earth, purging the world of the “unjust” and the “filthy” while saving the righteous. But it also raises the question: How would Cash himself have viewed the use of his song in the film? The rapture he describes in “The Man Comes Around” is clearly religious. It’s about Jesus, not zombies. Would Cash have seen the sequence as cheapening or perverting the message of his song? The fact is, we’ll never know. A major part of a performer’s legacy comes down to how those who survive him choose to appropriate and understand his body of work. Johnny Cash’s legacy lives on, and we are shaping it. His story has been told in an Oscar-winning biopic (2005’s Walk the Line), which has in turn already received its own parody (2007’s Walk Hard). And in its own minute way, I hope this post does justice to the Man in Black and helps to color his legacy. He won’t be disappearing into the potters’ ground any time soon.